The Villages is the largest active adult community in Florida offering affordable homes around $100,000. With over 380 active adult communities spread across the state of Florida, it can be tough to pinpoint exactly which one is right for you. But if you've got a budget in mind, that helps narrow down the choices. For those looking at a price point of around $100,000 or below, the good news is that there are many communities available that cater to your cost level without sacrificing amenities and a fun lifestyle. We've compiled ten of the top picks for buyers who want to save some money but don't want to sacrifice. You don't need to pay a lot to gain access to great amenities at Sun City Center. 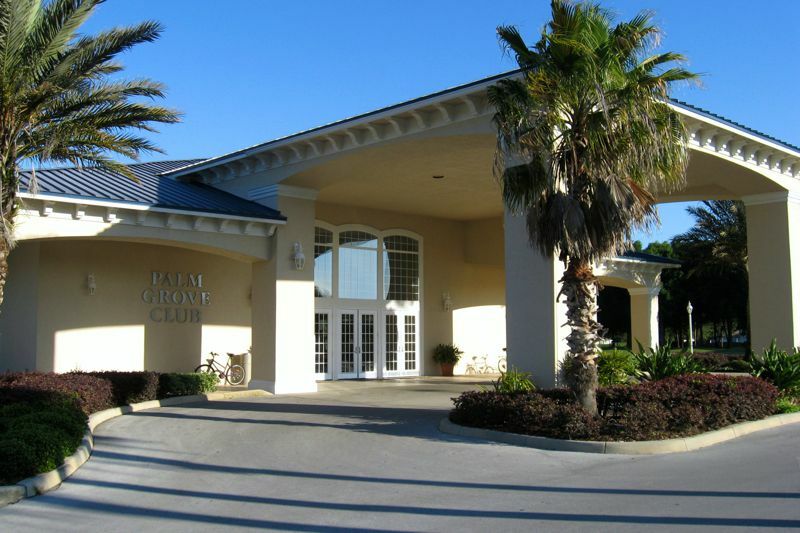 Just 25 miles south of Tampa, Sun City Center is a 55+ community originally started by Del Webb in 1961. Since 1972, various builders have taken over the development of this unique community leading to an interesting mix of neighborhoods, homes, and amenities. Both resale and new construction homes are available in a range of prices and styles. With over 200 clubs and interest groups, Sun City Center makes it easy for active adults to meet like-minded neighbors while staying socially and physically active. With 56,286 planned residences, The Villages is a complete town unto itself. This sprawling community spans three counties, three zip codes, and over 20,000 acres. It features resort-style amenities, retail centers, restaurants, healthcare centers, banks, post offices, and other convenient services, all accessible by over 100 miles of golf cart legal streets and trails. You might have heard some rumors about the place, but rumors of affordable single-family homes and condos have been proven true. You can hit the links at Solivita without spending a ton. The Tuscan-themed Solivita community, with its prime location just 35 miles south of Orlando, provides an affordable option for many homebuyers. 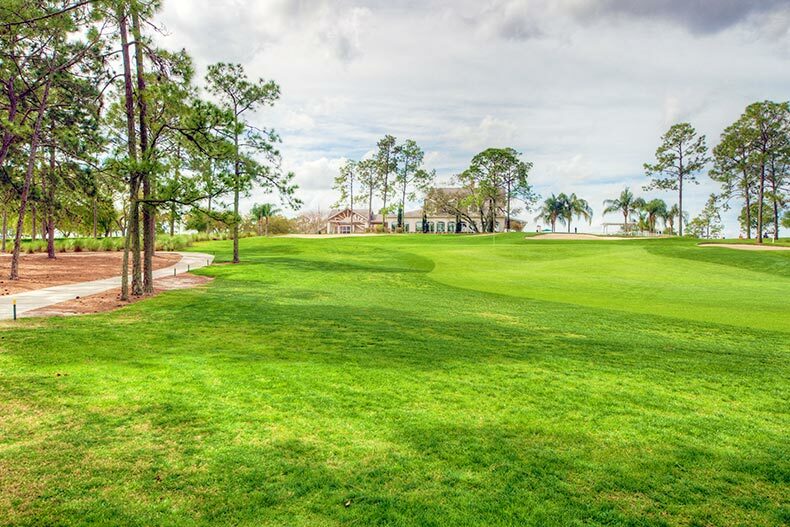 Solivita’s scenic lakes, wooded preserves, and two championship golf courses create a lovely backdrop for the community’s 5,900 single-family and attached homes. 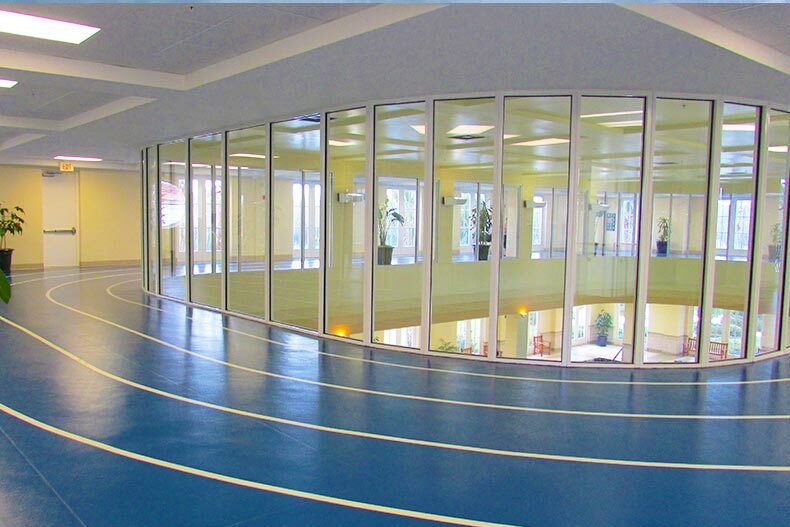 The 32,000-square-foot Riviera Spa and Fitness Center that features and indoor walking track over an indoor heated lap pool represents just one of the resort-style amenities that seals the deal for many homebuyers. Sea Towers is a 55+ condo community in St. Petersburg that includes nine high-rise condominium buildings with majestic views of Boca Ciega Bay and the Gulf of Mexico. This bayside community offers resale condo units that range from approximately 485 to 1,140 square feet, a size ideal for many downsizing active adults. Residents of Sea Towers also have access to a rich line-up of resort-style amenities that appeal to many active adult homebuyers, including a clubhouse, fitness center, sauna, and two pools. The view of the Timber Pines clubhouse from the golf course is something special. Residents of Timber Pines in Spring Hill have convenient access to the Tampa area and miles of Gulf coast beaches while living in a 55+ community with desirable amenities, such as four golf courses with 63 holes of golf, two outdoor resort-style pools and spas, and a hilltop country club with elegant and casual dining. Homebuyers on a budget will find that the attached villas offer maintenance-free living with plenty of space, an ideal option to join this age-restricted community in a sought-after location. The gated golf community of Fiddlesticks Country Club provides residents with a country club lifestyle within almost any budget. The resort-style amenities in this refined community include a 40,000-square-foot clubhouse with two restaurants, a 7,000-square-foot tennis and fitness center, two 18-hole championship golf courses, and an outdoor junior-Olympic heated swimming pool. Condo units start at 1,100 square feet so active adults with a variety of home preferences and budgets can join this active adult community. Oak Run in Ocala includes 3,509 reasonably priced resale homes that connect 55+ homebuyers to a robust lifestyle featuring over 100 clubs and interest groups. This age-restricted community represents an ideal blend of large community amenities with a close-knit neighborhood feel. 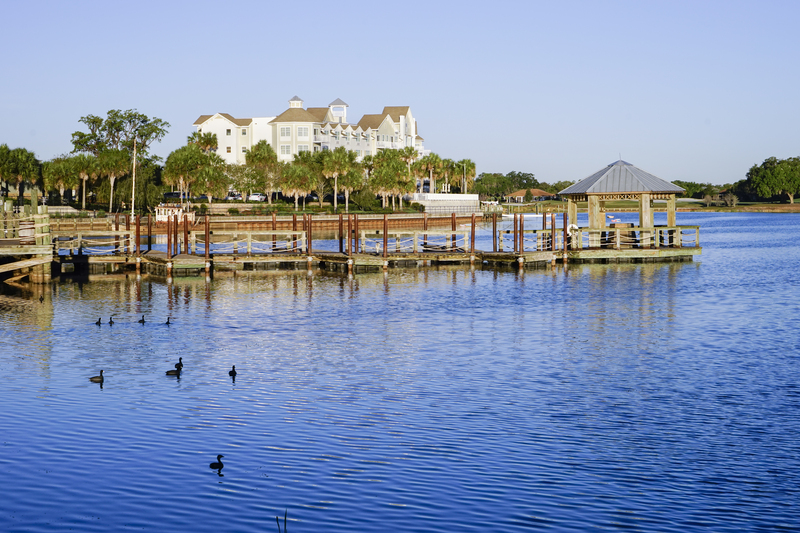 Oak Run is also just 30 miles to the Gulf of Mexico and 90 minutes to popular destinations in Orlando and Tampa. Active adult homebuyers who want to live in Central Florida will appreciate all that Oak Run offers. Wynmoor Village is a gated 55+ community in Coconut Creek that consists of 5,260 resale condominium units spread across 133 mid-rise buildings. The country club-style amenities, which include an impressive 50,000 square-foot clubhouse, several swimming pools, an 18-hole golf course, and 12 lighted tennis courts, all support an active adult lifestyle. 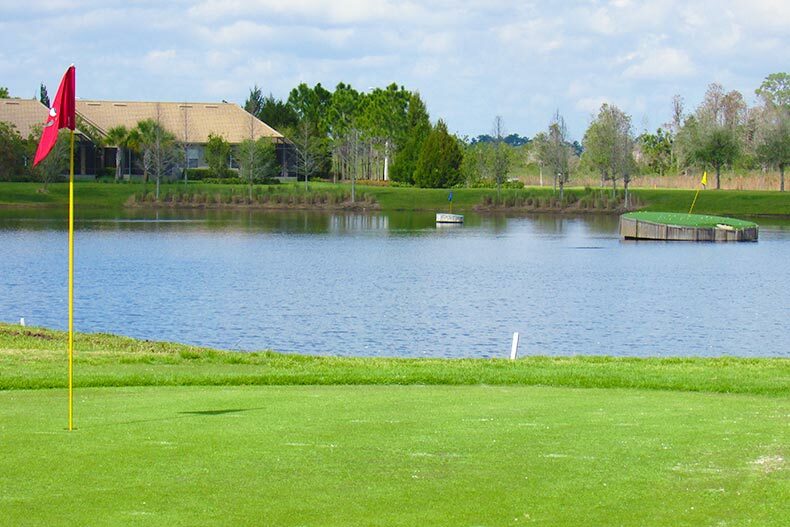 Resale condos at Wynmoor Village range from approximately 550 to1,250 square feet of living space and each unit features a scenic golf course, lake, or garden view. Active adults who are looking for a more intimate 55+ community may prefer Arlington Ridge. Upon completion, Arlington Ridge will contain 629 single-family homes with new and resale homes currently available in dozens of models and floor plans. Residents on a budget still have access to world-class amenities such as the Village Green clubhouse, a championship golf course designed by Gary Koch, indoor and outdoor heated swimming pools, sports courts, and a community movie theatre.